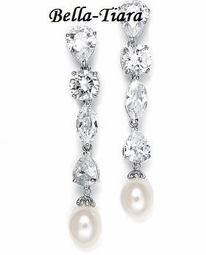 Jacqueline - CZ and Freshwater Pearl Beauty -- Great Price!! 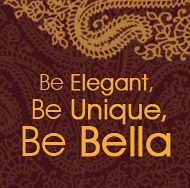 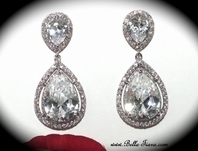 HOME / BRIDAL JEWELRY / Bridal Earrings / Jacqueline - CZ and Freshwater Pearl Beauty -- Great Price!! 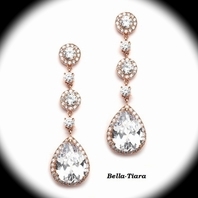 Description: Sophisticated & Elegant cubic zirconium, diamond inspired, dangling earrings featuring a brilliant multi sized crystals with a pearl drop. 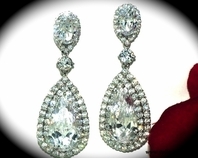 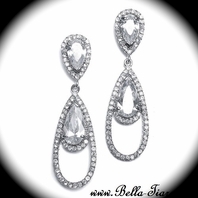 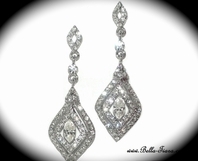 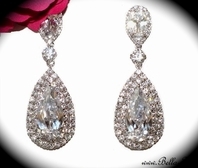 Cubic Zirconium's in the teardrop, round and marquise cuts make this earring a true keepsake.